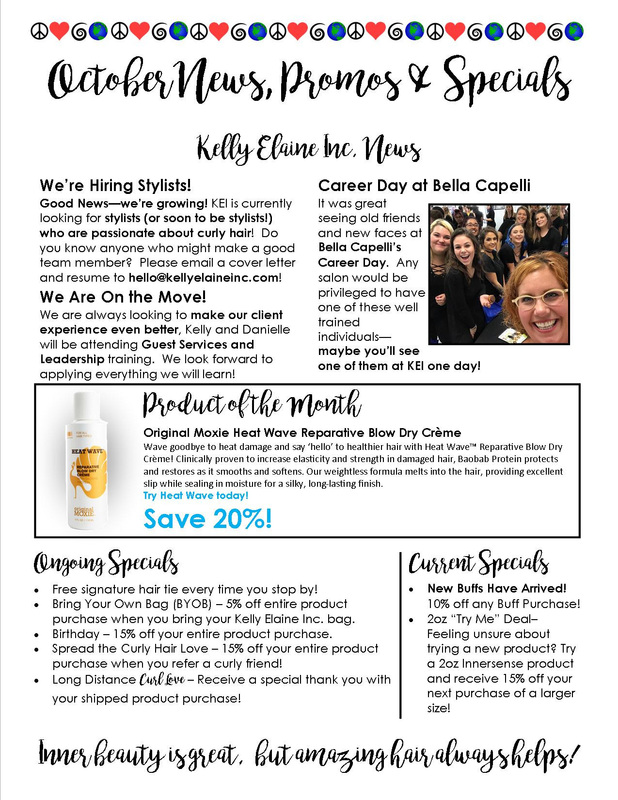 October 2017 Kelly Elaine Inc Curly News! The long desired Innersense Organics I Create Lift Volumizing Foam is on it’s way to our part of the Curly World. 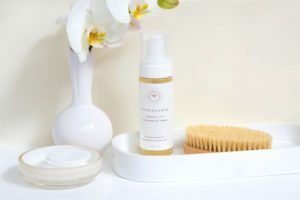 Danielle our Salon Coordinator and Certified Curl Care Product Expert has been in on the testing of this product. If she had more than two thumbs she would put them up too! Stop buy for what we are sure to be your new favorite! New BUFF order came in! Come early to pick your new favorites! 10% off this month and 30% off with any $75 curly hair care purchase. Original Moxie Heat Wave is our product of the Month- this is a reparative styling treatment that is SUPER, SUPER concentrated. We will repeat that- SUPER CONCENTRATED!Most curlies will be diffusing a little more come the winter months. Keep your curls in tip top shape with a touch Heat Wave. We had lots of fun on Bella Capelli Monroeville Career Day. This is an amazing school with a fantastic program of training our future Professional Cosmetologists. We look forward to what they bring to our industry. Make sure you have your appointments booked for the holidays. 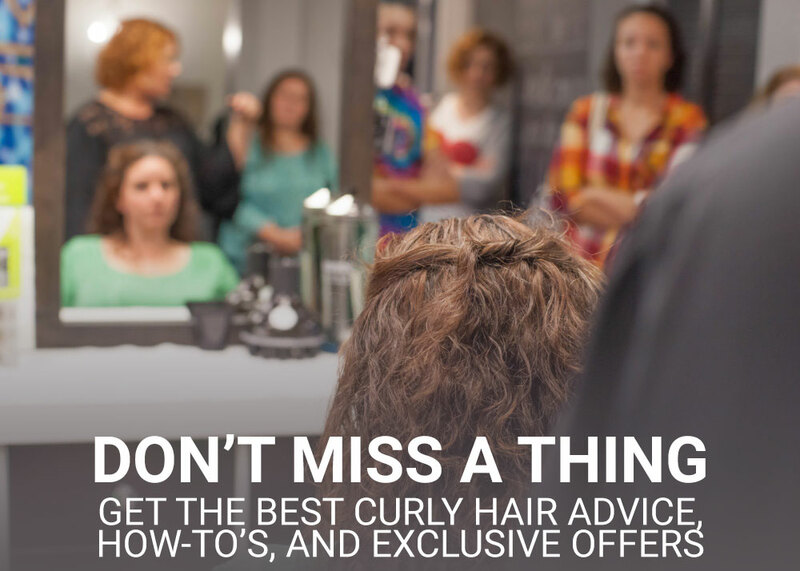 We want to make sure you have the best, shiny curls you can have!